DDC DNA Diagnostics Center has executed more than 2 million DNA tests in the 20+ years since it opened its doors. Besides paternity tests, DDC DNA Diagnostics Center accommodates numerous options for family relationships, forensic research, and even ancestry. It also features an animal DNA testing division, providing DNA tests for sports or companion animals. DDC was the first company to incorporate robotics in its lab processes, ensuring high-quality sample handling. It also achieved recognition through numerous national and international accreditations (AABB, ANAB ISO/IEC 17025, ASCLD/LAB -International, College of American Pathologists, New York State Department of Health, and others). Its Chief Science Officer Dr. Michael Baird is the country’s leading expert in DNA testing. He was the first ever person in the US to testify in a criminal case involving DNA. Since 1987, he has testified in court as a DNA expert for more than 300 times. He is also the current chair of the AABB’s committee for relationship testing. Continue reading this DDC DNA Diagnostics Center review for more information about this superb DNA testing service. DDC DNA Diagnostics Center offers a slew of different DNA tests, from paternity tests to tests taken for immigration purposes. Legal – In situations where your DNA test results incur some legal ramifications, a DDC appointment coordinator will arrange for you to provide your DNA sample at the most convenient location near you. Adoption or confirmation for in-vitro fertilization are good examples. The professional collector will then complete the paperwork, compile identification, and send your package to DDC DNA Diagnostics Center for testing. These legal test results are a viable proof of claims in front of immigration agencies and courts. Non-legal – If you have no intention of using DNA results in court and just want them for your personal peace of mind, the non-legal route is the right choice for you. This option allows you to collect the sample yourself, at home, and simply send it for testing. DDC encourages people to take the legal route, though, since it has noted an ever-present trend of customers taking the non-legal test and then returning for the legal variation once something “comes up.” The waiting period depends on the type of test you’ve ordered. Once the results are done, though, you can inspect them online immediately. DDC is a true asset for anybody in need of high-quality and reliable DNA testing. It doesn’t matter what kind of genetic examination you require, DDC will have it in its portfolio. This is where DDC really gets to shine. Its tests are not overly ancestry-oriented, like with some other companies we reviewed. 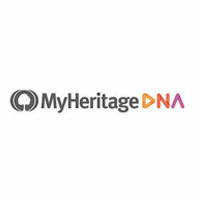 DDC has an ancestry test featured, but it focuses more on your everyday DNA needs, to put it colloquially. DDC will first help you with your “modern” preoccupations like adoption, immigration, child support, taxes, and court orders and “dig” through the past, looking for your pre-historic ancestors once all the burning questions receive satisfying answers. These tests compare the assumed father’s DNA with that of the child to determine whether they match or not. If a certified professional is performing it, this test is the ultimate proof of a biological relationship with a 100% accuracy guarantee. Paternity test with legal results (499$) – It requires all parties involved having their DNA sample collected at a facility with proper certifications (health department, a medical office, hospital…). The samples will be stored in a tamper-proof packaging and sent to Fairfield, Ohio, where DDC conducts its tests. The test uses cheek swabs, a completely painless and time-saving method. As soon as the results are in, the document will be mailed to you and you can use it in court or wherever your legal needs require you to. At-home paternity test (starts at 199$) – This test is the best choice if you just want quick information and have no legal expectations of it. The results of this test are not admissible in court. DDC will dispatch a sample collection kit the same day you order the test. The kit also uses cheek swabs. After sample collection, just send it back via a pre-paid express envelope. The results will be ready for you online within 24 hours of receiving the sample. You will get an e-mail notification as well. Non-invasive prenatal paternity test (payment plans available) – The test uses solely the blood of the mother, so there are no potential dangers for the baby. The developing fetus starts “emitting” its cells into the mother’s bloodstream as early as 8 weeks into the pregnancy. DDC has developed a proprietary method of collecting those fetus cells, developing their DNA profile, and matching them against the presumed father’s DNA. This state-of-the-art test combines the latest trends in DNA SNP technology for the safest possible collection, preservation, and analysis of the baby’s DNA. The results are usually back in 3 work days. The side-benefit of this test is the ability to determine the baby’s gender. Being the most sought after, the paternity test has been segmented out into a separate test group, the family relationship tests. Maternity test (starts at 295$) – Similar to the paternity test, this test compares the child’s DNA with the presumed biological mother. The father’s involvement is optional, although highly encouraged since it can exclude the father’s half of the DNA from further testing. Testing the father doesn’t raise the fees required for the test. As with paternity testing, both legal and non-legal variations are available. Grandparent test (starts at 395$) – It’s used for establishing the paternal DNA line between the child and the grandparents. Thus, the grandparents tested must come from the father’s side. 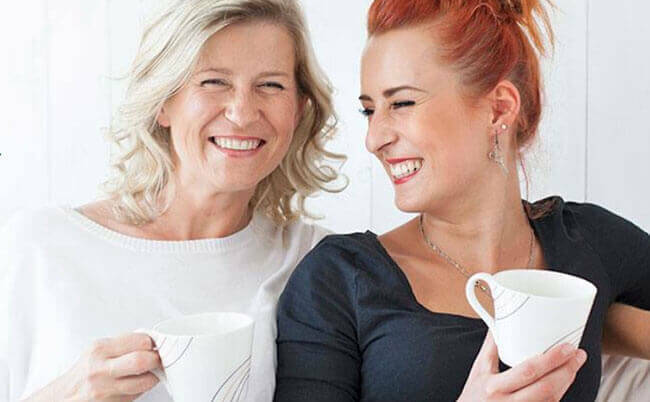 Mothers are encouraged to participate as well since it saves time on additional analysis.DDC can also lend a helping hand if there’s just one grandparent left. If this is your case, you can call the company and elaborate on the specifics. This test is primarily used for inheritance claims, social security benefits, and immigration cases. Both legal and non-legal versions are available. Sibling test (starts at 395$) – It is used when potential siblings want to determine their father-line connection and the father’s DNA is unavailable. In the case of an absent father, the next step would be testing the grandparents. If they’re unavailable as well, the sibling test is the only way to go about it.The sibling test explores 35 autosomal markers looking for a match. This ensures a thorough analysis and precise results. Aunt/Uncle test (no price listed) – The “avuncular” test uncovers the child’s potential biological relation with the father’s sibling. The test is used when the father’s DNA is unavailable and the only relative left is the father’s sibling (sister or brother). An uncle/aunt will share 25% of their genetic material with their nephew/niece. This is an alternative way of determining paternity. Family reconstruction (no price listed) – This test is used to determine a biological relationship through the father’s relatives when the father is not available. The test can only be successfully performed with 3 or more paternal relatives. If there are only one or two, the participation of the mother is required. Male lineage (no price listed) – A paternal or Y-test is used to establish a biological relation to a distant paternal relative. Legal and non-legal options both exist and the results are usually available in 2-3 weeks. Female lineage (no price listed) – Also known as the mitochondrial test (short mtDNA), it determines maternal blood relationships. The options and waiting period are the same as with the paternal lineage test. Twin Zygosity test (no price listed) – This test is used to determine whether twins are identical or fraternal. This test is a crucial tool if one of the twins needs an emergency organ transplant, as an identical twin is a perfect donor. Native American DNA test (no price listed) – The test is customizable to fit every tribe’s needs and the turnaround times are usually pretty quick. Immigration DNA – The test will provide the proof you need to successfully conclude your immigration process. DDC features a specialized immigration team, which has been dealing with immigration petitioners, embassies, agencies, and beneficiaries for over 20 years. 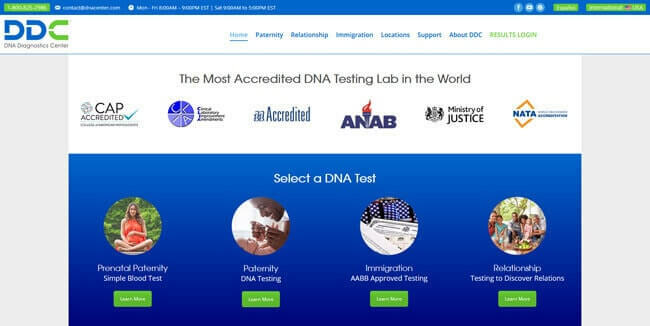 DDC also offers DNA tests for US and Canadian immigration and incorporates 3 separate websites for ancestry, forensic, and animal DNA testing. Every single test DDC offers comes with free pre-test consultations, a Ph.D. review of the results, and a knowledgeable support team ready to answer any question you might have. Every test is done twice to avoid any potential errors and miscalculations. Never releasing results of the test over the phone. 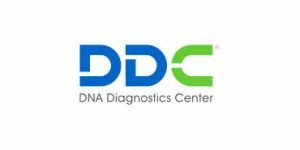 This DDC DNA Diagnostics Center review gave us a difficult task of enumerating the overwhelming benefits of this service. The company’s personnel features world-renowned scientists who perform the highest number of tests on the market. The labs are modern and equipped with robotics technology and the tests are 100% accurate. The company’s offer even extends to ancestry and animal testing, provided through different websites. So, whatever your troubles or pure curiosity demand, if it can be solved via DNA testing, DDC is there to help. Our ratings are the result of an objective and independent evaluation of DDC, generating the final rating that reflects the overall quality of the company. Ratings may change as the service changes. DDC user rating based on 12 user reviews. Excellent Service. My fiancee had concerns of whether his oldest daughter was his. We dad father-child and let's just say I have four sons and now loving my two stepdaughters. Thanks DDC for your excellent services. My deceased ex husband had a woman say he was her daughters father for 37 years. The daughter had a test done using his and her blood test came back (0) not his. Both of my kids are relieved and his family just thought for sure was his daughter. Well not his thank you Jesus now maybe the daughter of the woman’s can finally find the real father after all of the years . Good luck your going to need it . Horrible service. I wrote a review on their page and they deleted it. I paid for fast 2 day service and its been 1 week and still waiting on Results. I live in NY and bought their paquet from Walgreens. Opened the paquet nothing inside. Called them then they explain that in NY DNA test have to be authorized by a doctor. They proposed to send a new kit to the person with whom I was going to do the test because the person lives in a different state. I paid for everything thing in advance (lab test and the new kits they were supposed to send). More than 3 weeks later, the person haven’t received anything. I called to make sure the name and address were good and if they can give me a tracking number. The person’s information were good but the company couldn’t give me any tracking number or something to prove to me that they sent the kits to him. Called back to cancel everything, they said they will give me back a refund, almost 2 weeks now still nothing. I just did a paternity test, and it was all quick and as painless as possible. I just found an aunt I never knew I had! Thank you ddc! I done the test for imigration and the wrong one. Have to do it again to give to court. Customer support was really nice and helped a lot. We found 0 verified DDC discounts for April, 2019. If you like DDC but aren’t sure whether they are truly the ideal choice for you, you may want to take a look at our comparisons below to discover if one of their competitors is more suitable for you. If you want to go beyond our DDC review and learn even more about the company and its services, our collection of DDC guides offers just the information you are looking for. Browse the articles below to find out all about DDC testing accuracy, prices, testing kit, corporate legitimacy, features that set it apart from the competition, and much more. DDC Prenatal Paternity Test - explaining the procedure and pointing out its most prominent advantages.